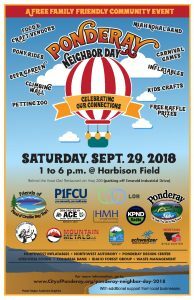 The City of Ponderay and the Friends of the Pend d’ Oreille Bay Trail will host the second annual Ponderay Neighbor Day community carnival on Saturday, September 29th from 1-6 p.m. Click Here for additional information about this event. Vendors are still needed for this event. Please contact KayLeigh Miller at Ponderay City Hall for additional information at klmiller@ponderay.org or 208-265-5468. Idaho Transportation Department has notified the City of Ponderay of a planned road closure at the intersection of Highway 200 and Eastgate Road (east entrance to Bonner Mall) for repairs to the approach. The closure will occur on July 24, 2018 from approximately 5am to 10am. Please choose an alternate route during this time. Ready for a little bit of spring cleaning? 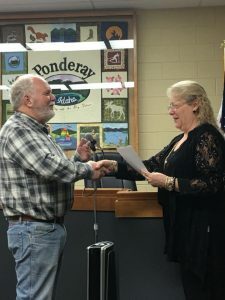 The City of Ponderay will host the 2nd Annual Ponderay City Clean-up Weekend on July 7th and 8th in 2018. Please mark your calendars and plan join us for a little bit of Spring Cleaning! Volunteers are needed for this event. Click here for additional event details and registration forms. That’s right its happening again! 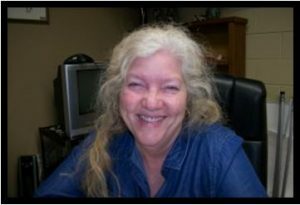 Ponderay Neighbor Day will be held Saturday September 29, 2018. If you would like to be a sponsor for this great community event or participate as a vendor, please contact KayLeigh at Ponderay City Hall (208) 265-5468. Incoming City Council Member Phil McNearney and returning Council Member Kathy Osborn were sworn in by City Clerk Su Warren at the January 8th City Council Meeting.